Babubhai, who belongs to Rinjha village of Dholka taluka of Ahmedabad district, has been taking rounds of the district collector’s office, situated about 100 kilometres away, for the last 11 years. He has been pleading with the government authorities to ensure that the 22 families get the physical possession of the land, allocated to them only on paper decades ago. Same was the case of hundreds of men and women, who had come all the way from the rural areas of about 42 talukas of 12 Gujarat districts, including Nirubhai Chorasiya of Bhavnagar district, Mohanbhai Parmar of Sabarkantha district, Maheshbhai Rathod of Surendranagar district, and Vadodara district’s Rameshbhai Vasava, all of whom related their take of woes. 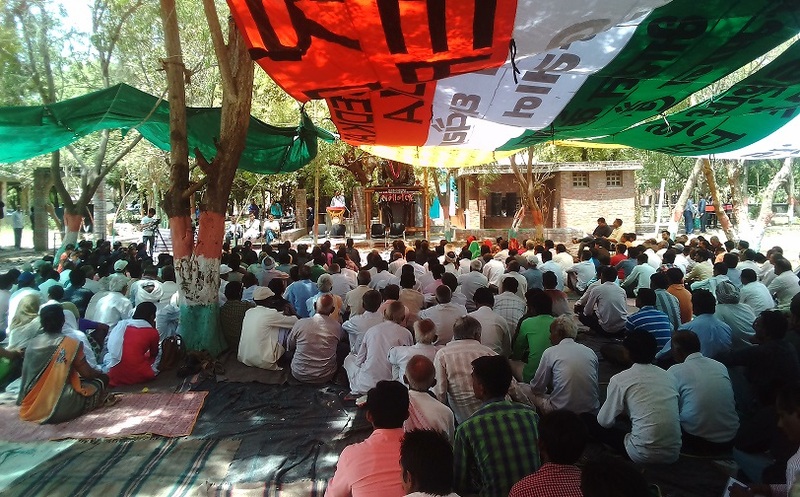 They had come to the Dalit Shakti Kendra (DSK) campus, Nani Devti village, Sanand taluka, about 20 km west of Ahmedabad city, to deliberate on land rights issues they have been facing for decades, but with no solution in sight. Participants in the meet agreed that in 50% of cases, atrocities are committed because of disputes arising out of agricultural land allocated on paper to the Dalits during the land reforms days, even though they have still not been able to get its physical possession. 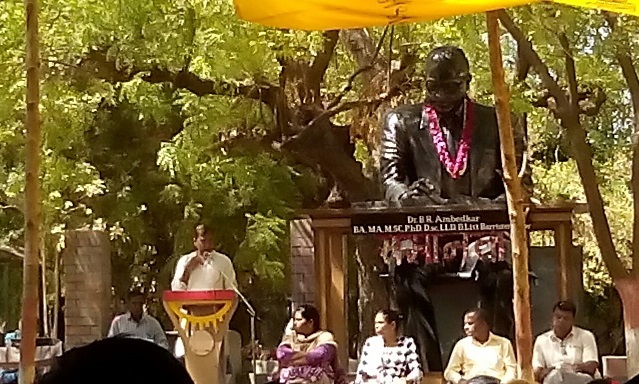 “While Dalits and Adivasis have to wait for decades to get the actual possession of the land, there is delay on the part of government authorities in acquiring and handing land over land to industrialists without any hassle”, Dalit rights leader Martin Macwan, founder, Navsaran Trust, told the meet. The meet finalized a resolution for submission to the Gujarat chief minister, which called upon the Gujarat government to concretize a policy for physically handing over land to Dalits and Adivasis. “Local authorities refuse to vacate encroachments upon the land which legally belongs to Dalits or Adivasis”, it claimed. “Government resolutions on handing over land to Dalits and Adivasis are not implemented. False affidavits, like the one by the Surendranagar district collector, are made before the Gujarat High Court regarding allocation of land to Dalits, and despite the mistakes being pointed out on the basis of satellite imagery, no corrective steps are taken”, he said. Addressing the meet, former BJP MLA Siddharth Parmar, a Dalit leader, called upon all the Dalit rights leaders to come together. “If there is unity, nobody can deny Dalits their right to land”, he said. “The situation has reached the point where Dalits and Adivasis have been turned into beggars to get the physical possession of the land which is actually theirs. This is one of the major reasons why Bhanubhai Vankar was forced to commit suicide by setting himself on fire in front of the Patan district office”, the resolution said. 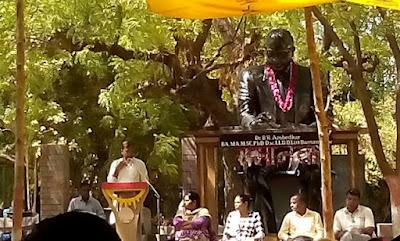 The resolution -- a copy of which was handed over by 127 Dalit rights leaders led by Macwan and Parmar to mark the 127th birth anniversary of Dr BR Ambedkar, India’s Dalit icon, to the deputy collector, Sanand -- insisted that the Gujarat government should ensure that the legal provision of handing over land to Dalits and Adivasis are “not violated” till Dalits and Adivasis get the physical possession of their land. Other demands included setting up of special courts to look into land-related atrocity cases against Dalits and Adivasis, setting up of special offices focused on settling their land rights issues, solving issues that have arisen because of the resurvey of lands to be allocated to them, and so on. The resolution said, no one should take the extreme step of setting oneself on fire out of frustration because of the failure to get the legal right to land, adding, the fight for land would be held within the constitutional framework. It warned the government that if fails to move towards solving the land rights issues of Dalits and Adivasis by May 1, the activists would kick start protests in different districts of Gujarat.